The Terrestrial Systems Modeling Group develops new predictive understanding of processes that couple land systems to the broader Earth system, using models as tools for knowledge integration and synthesis. We work closely with observationalists and experimentalists to represent the dynamics of energy, water, carbon, and nutrients as they interact at multiple spatial and temporal scales in the context of land ecosystems. Our focus extends from microscopic scales, where we develop predictive models of molecular and cellular process such as photosynthesis and microbial dynamics, to plot-level scales, where we measure and model soil physics and biogeochemistry and interactions with plant physiology and life history, to regional and global scales, where we evaluate interactions among land, atmosphere, and oceans that influence long-term climate trajectories. We specialize in representing complex interactions among multiple land system components across multiple space and time scales. For example, we partner with intensive field and laboratory studies in arctic, temperate, and tropical regions to develop predictive understanding of the coupling of plants and soil through carbon, nitrogen, and phosphorus cycles as they interact with energy and moisture dynamics across the global range of climate zones and soil types. Human systems are tightly coupled to land processes, and our research encompasses these interactions. We use historical data to study changes to land ecosystems related to human activity, including shifting patterns of land use, water use, urbanization, and human influence on the atmosphere. 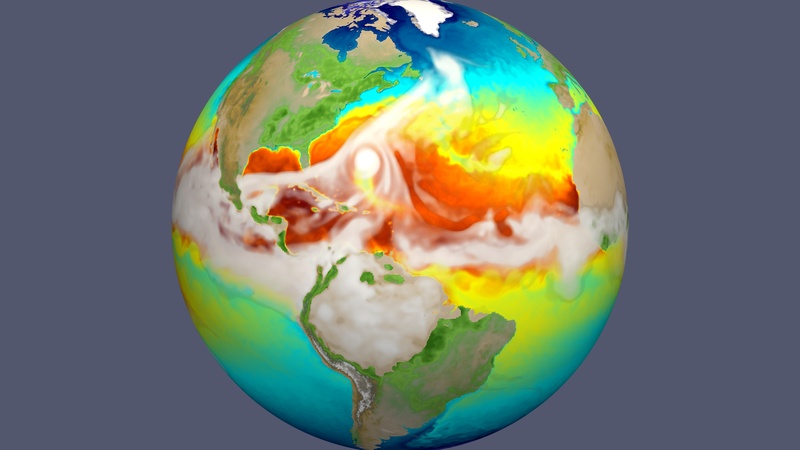 Our research is designed to provide comprehensive representation of land systems for integration in fully-coupled Earth system models, targeting whole-system prediction over multiple centuries.